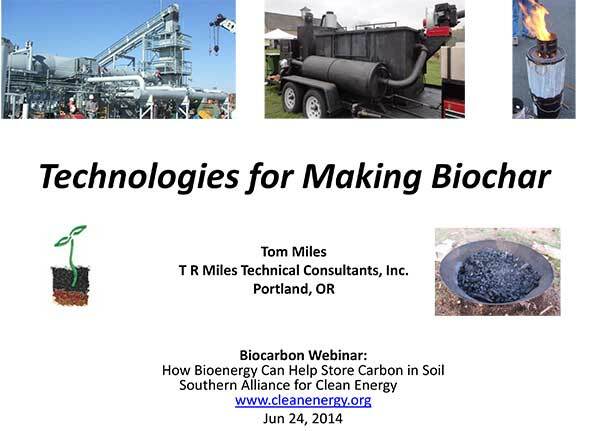 Join Biochar Bob as he crisscrosses Costa Rica to learn how biochar adoption is creating a wave of social impact. The Kon-Tiki was developed by Hans-Peter Schmidt in Switzerland with the Ithaka Institute> based on the MOKI Cone Kiln from Japan. 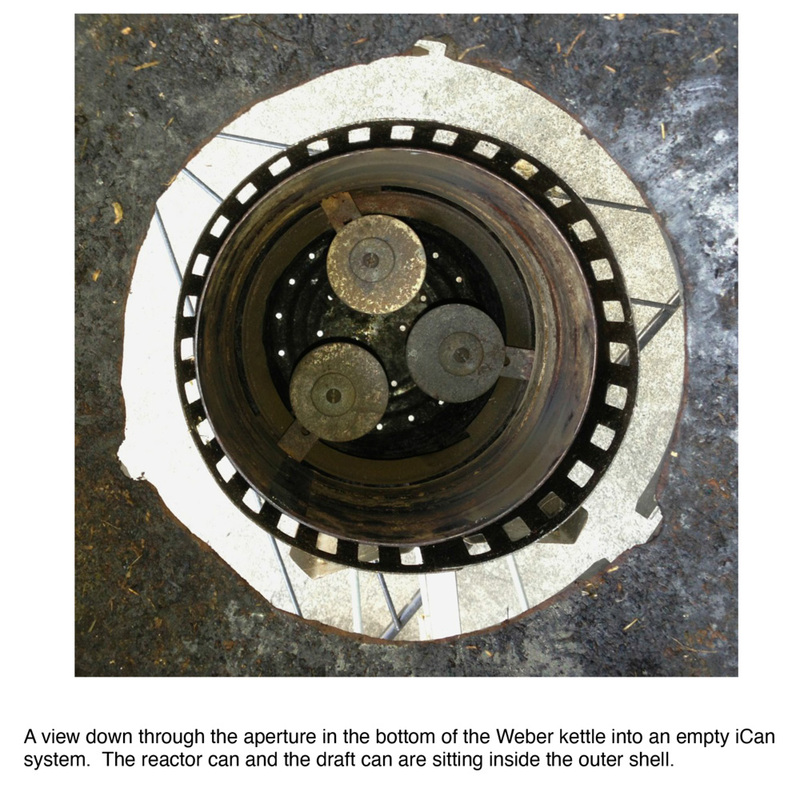 There is a nice description in the video of air currents around the cone kilns. The Ton Tiki and The Tasmanian version developed by Frank Strie called the Kon-Tiki-Tas. Are both large - vinyard scale cone kilns. Smartly designed and carefully operated bioenergy systems can actually help pull carbon out of the air, and put it in the ground where we need it. Companies that are commercializing these technologies today include Cool Planet Energy Systems, Phoenix Energy, and Burt’s Greenhouses. Surprisingly, this is not new: There are biomass boilers that have been producing durable carbon-ash soil amendments for years. 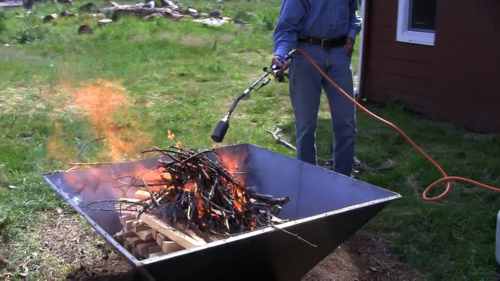 This is a great opportunity to upgrade your firepit or burn pile to a cleaner burning biochar-maker. PLEASE BE SURE TO FOLLOW THE FIRE SAFETY RULES AND REGULATIONS FOR YOUR AREA!! 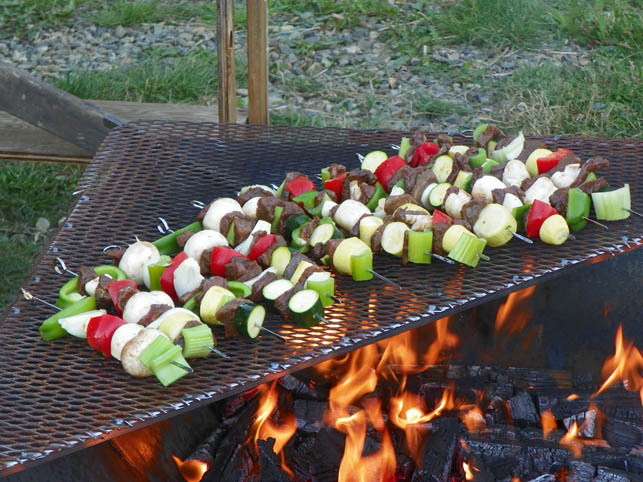 Ok, now go put a skewer on the biochar-making barbecue! Dimensions of the pyramid kiln are 46" top edge; 18" bottom edge; and 27" along the angled edge. 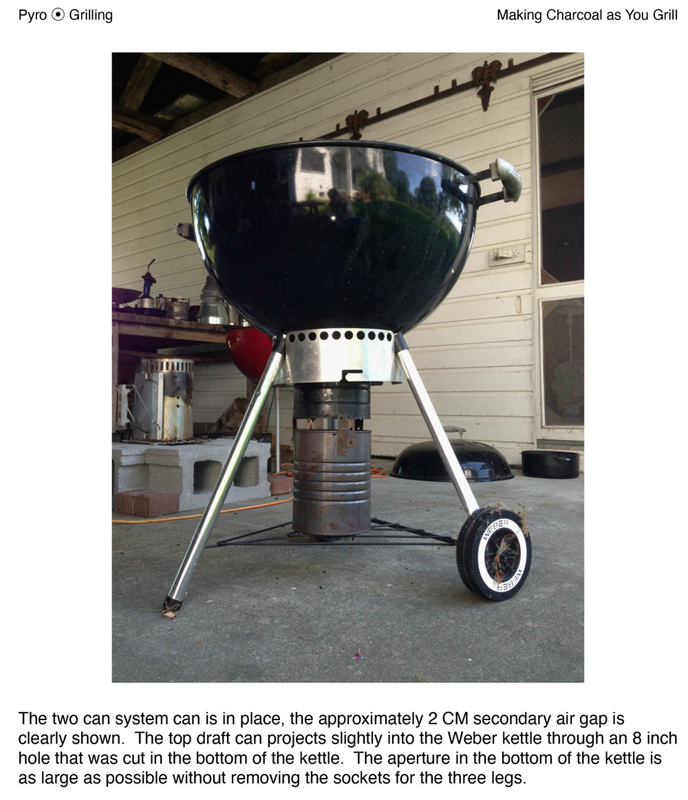 It was made from a 4'x8' piece of 11 gauge sheet steel. The sheet was cut into two, 2'x8' strips, and the 4 trapezoidal shaped sides were cut out of that. 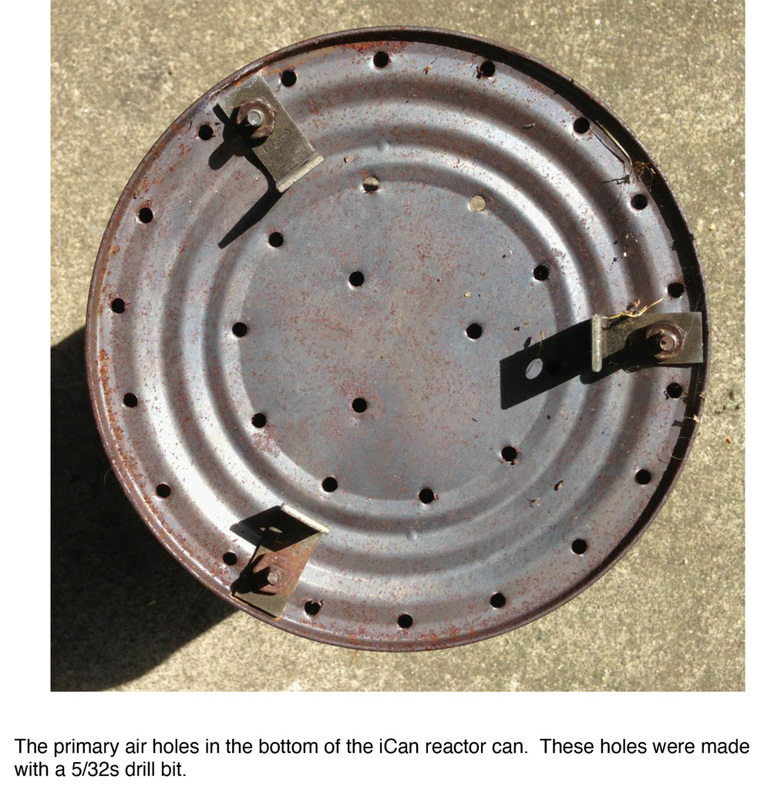 Square tubing was welded along the top edge for stability. 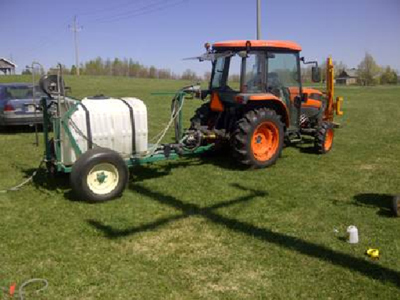 He is using the system primarily to make biochar from manure and from wheat, and has done some test fires with box thorn. 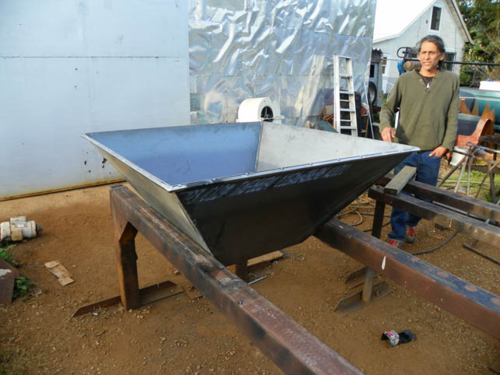 Douglas Clayton has updated his video about making Biochar in the Jolly Roger Oven. He has a bit of help from Hugh (making jokes about steam activating the char). It's a great video, well worth the watch. 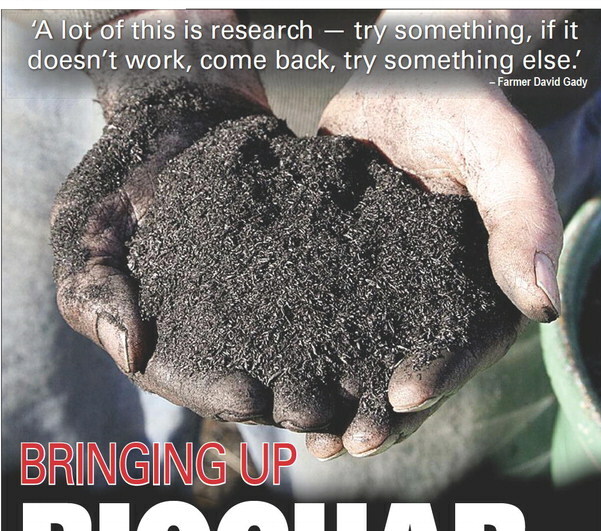 Check out the Article in the Capital Pres profiling Biochar and the work of Rockford Washington farmer David Gady. 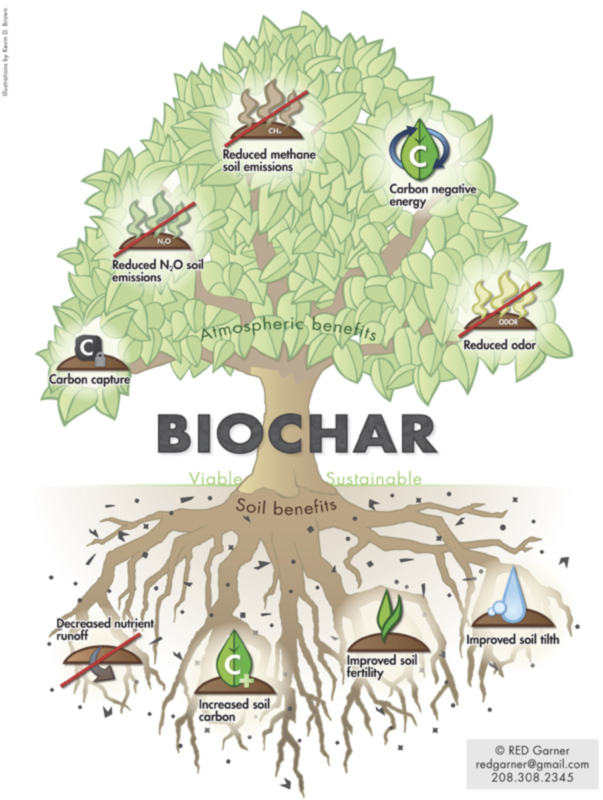 This article is a quick summary of what biochar is, and what it can do for commercial agriculture. Lauren Hale presents a nice big picture view and also detail about how biochar can help plants, with some of the results of work done at UC Riverside in California. Harvard has an organic community garden. 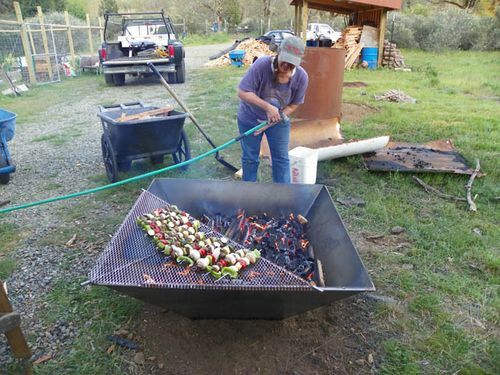 The garden has been growing over the last 5 years, and this year they are trying biochar. It will be nice to watch their project and see how their garden grows. 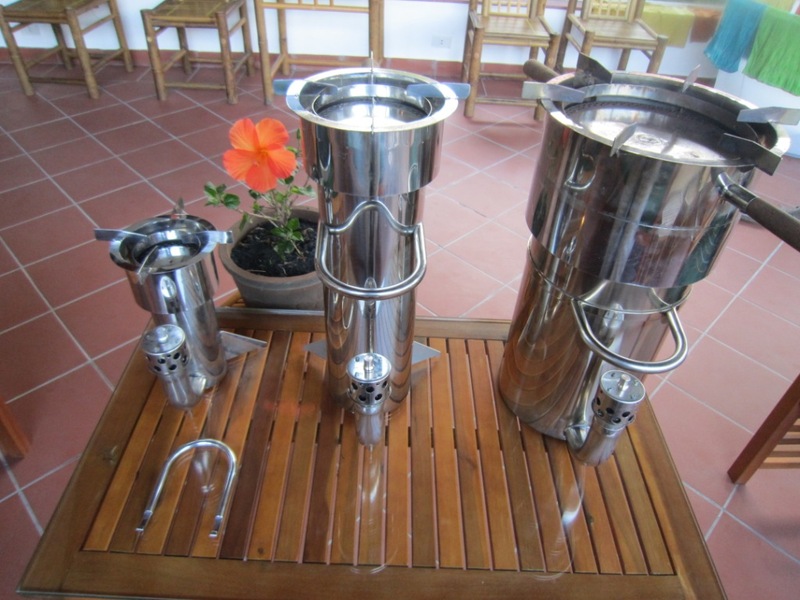 Here you see all three gasifiers along with the biochar that they produce. 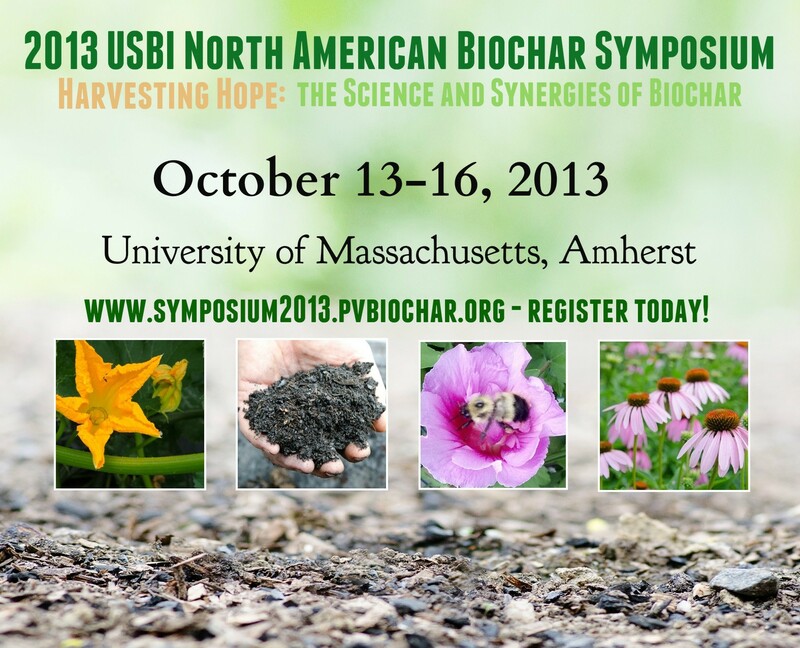 Great introduction to making clean biochar lead by Bob Wells, soil scientist Jon Nilsson and Patryk Battle. 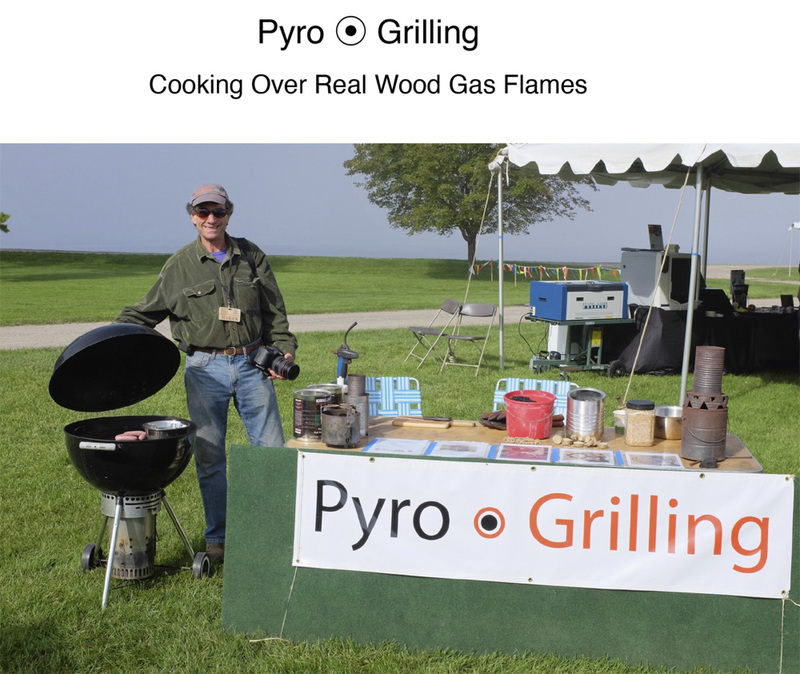 Jock Gill has been demonstrating Pyro-grilling. 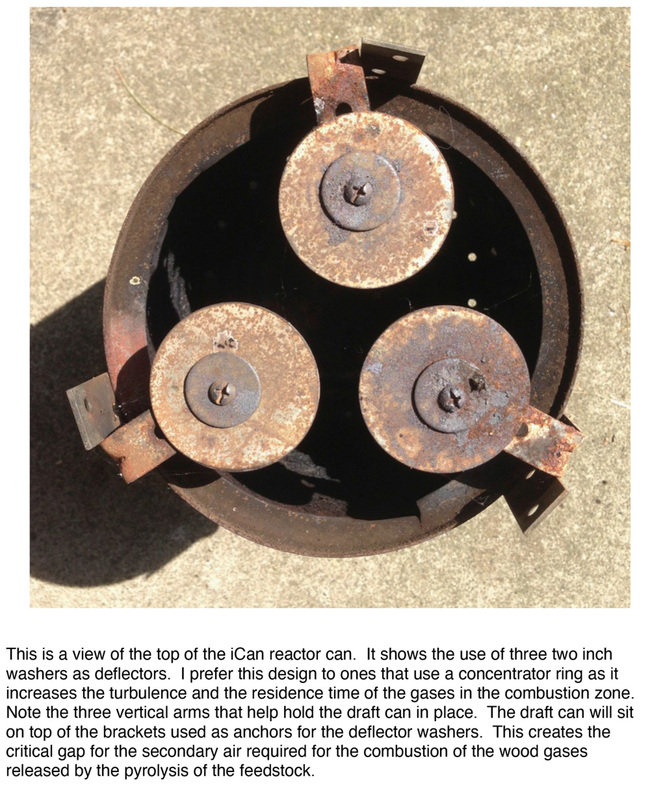 He adapted a standard weber to use an updated version of his iCan stove. 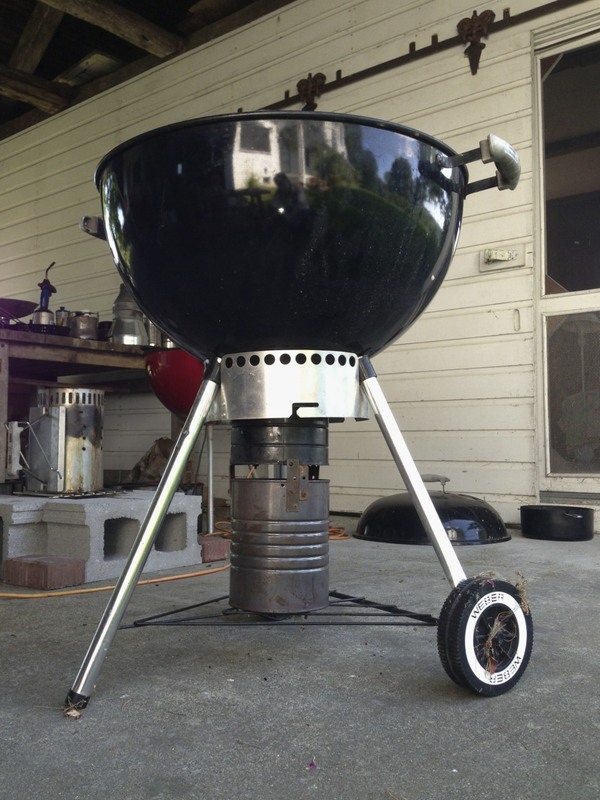 He reports that he hasn't had to buy standard charcoal in over a year. 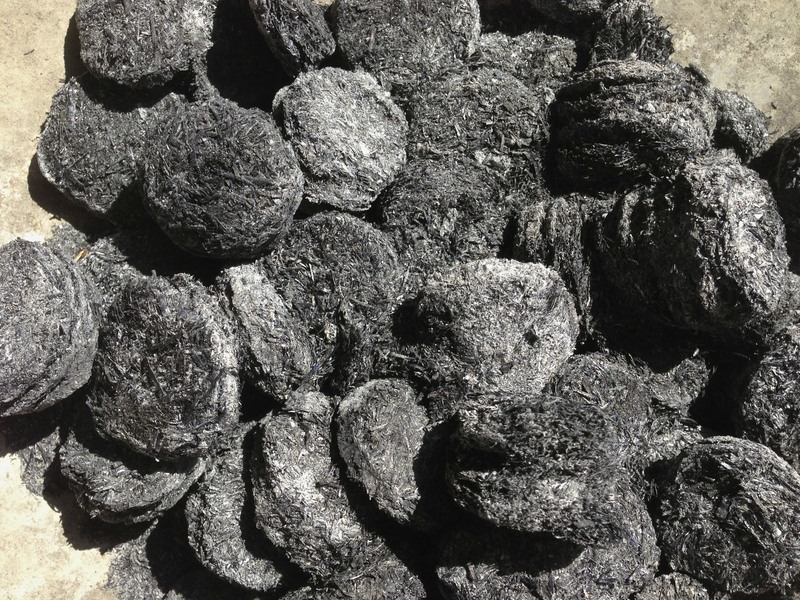 In the process he has been making a nice grade of biochar. It looks pretty tempting. 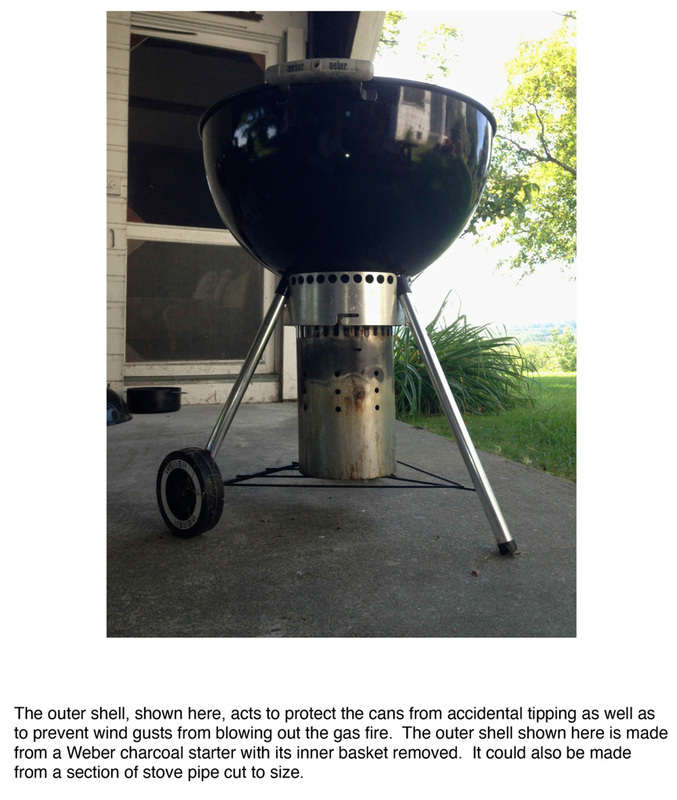 For details and answers to questions about the grill please download Jock's Pyro-Grilling pdf . 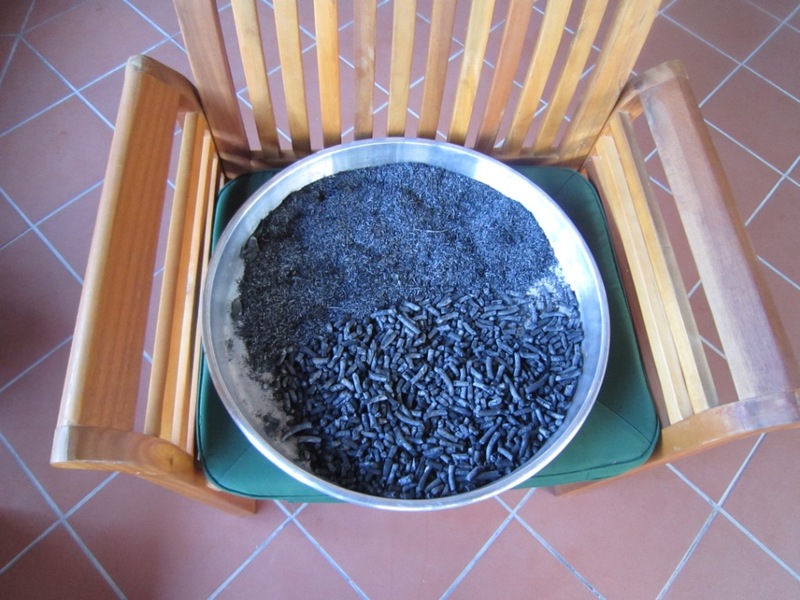 Labile Organic Molecules, the "Secret Weapon" of Biochar? 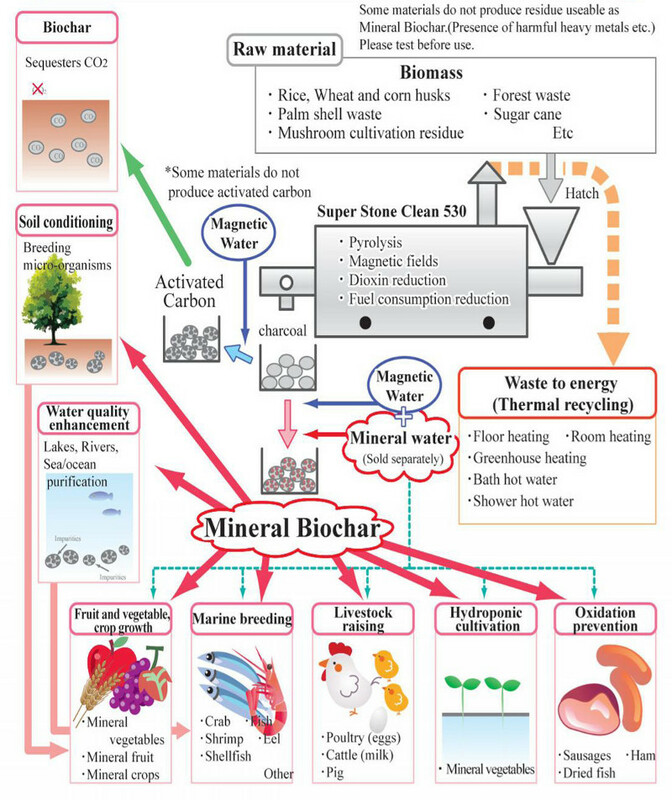 From "Shifting Paradigms on Biochar: Micro/Nano-structures and Soluble Components are Responsible for its Plant-Growth Promoting Ability”, S Joseph, ER Graber, C Chia, P Munroe, S Donne, T Thomas , Nielsen S, C Marjo, H Rutlidge, G X Pan, Xiaorong Fan, P Taylor , A Rawal, J Hook, Carbon Management, Vol 4, No. 3 (2013). Light reflected by the Amazon rainforest’s vegetation could help an orbiting satellite find the elusive fertile patches of soil known as terra preta — or ‘black earth’ — that mark archaeological sites where pre-Columbian populations settled. Finding these rich patches of earth has been a challenge. They’re sprinkled throughout the enormous Amazon basin, hidden beneath an impenetrable forest, and embedded in a land with few roads. 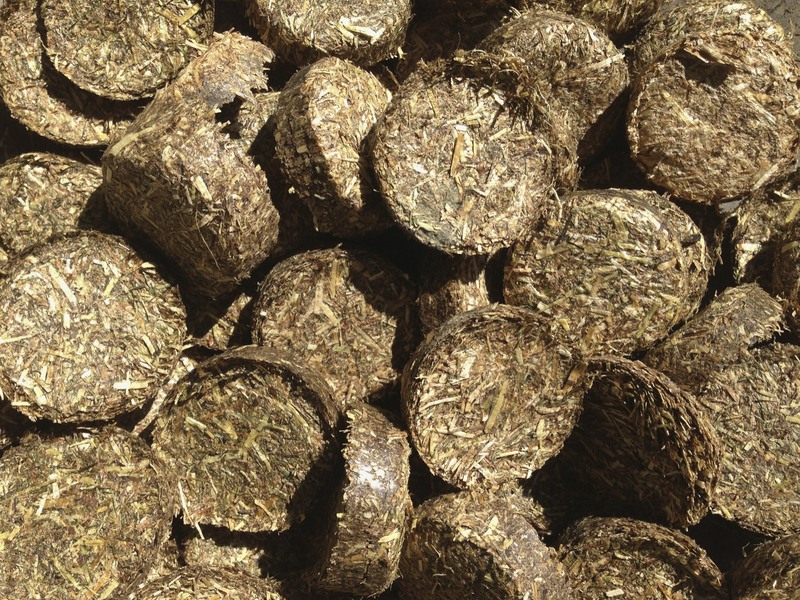 Biochar blends is for creating value added products using biochar and different types of matter (living and non-living) for soil amendments and also multiple uses before ultimately reaching the soil. 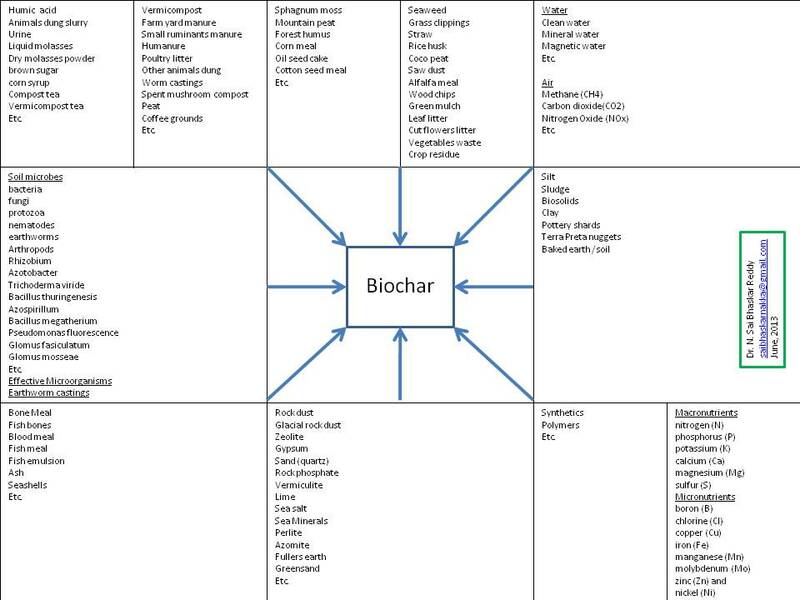 This is a simple chart to explore the possibilities of using biochar considering diversity of conditions in the field such as soils, types of crops, environments, climatic conditions, availability of raw materials, socio-economic, cultural, traditional, etc. 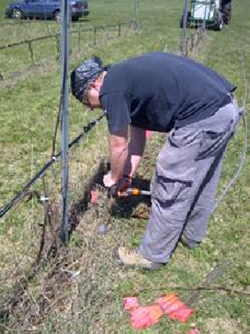 On the 4 -5 April, 2013 the Austrian Academy of Science hosted a Workshop exploring the responsible use of biomass energy, and the potential for using biochar to mitigate climate change.